Special Offer: When you place a $100 order with Missy directly, you can choose an additional item for 30% OFF. 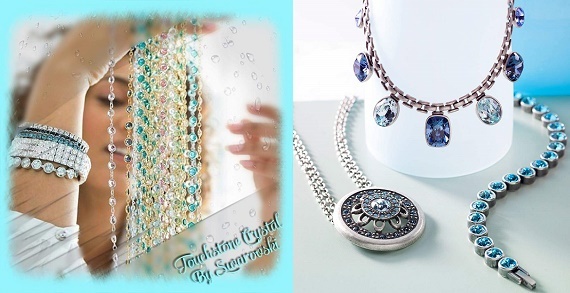 Touchstone Crystal is a division of the Swarovski Group and is their new line in direct sales. Touchstone Crystal jewelry is made exclusively with precision cut Swarovski Crystals and Zirconia, backed by the Swarovski heritage and quality reputation. From the runway to your doorway, these crystals are found in Michael Jackson’s glove, the Beauty & the Beast movie, the Cinderella movie, the Rockefeller Christmas tree Star, just to name a few. Touchstone Crystal offers an opportunity to make your own schedule, earn incentives like trips and more, with no inventory to keep, no deliveries to make and you can get started for just $139. What are you waiting for? What do you have to lose? Half of the catalog is priced $50 or less. Start your own Touchstone Crystal by Swarovski business for just $139. Stop by the Touchstone Crystal by Swarovski booth at the Columbus Children's Festival on 6/17!